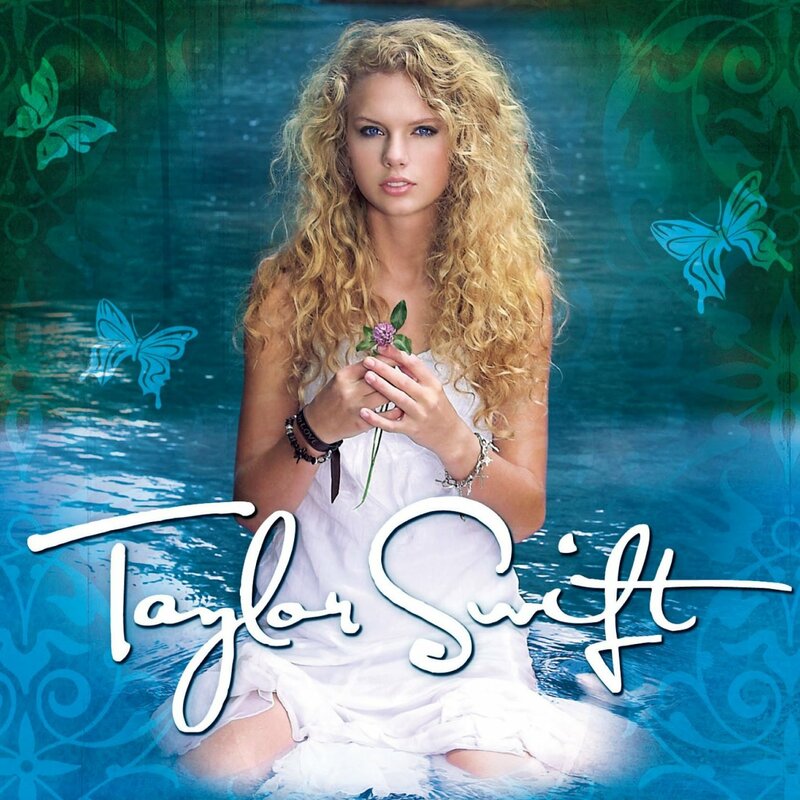 "Taylor Swift" is the debut studio album by Taylor, released on October 24, 2006, by Big Machine Records. Taylor was 16 years old at the time of the album's release and wrote its songs during her freshman year of high school. She has writing credits on all of the album's songs, including those co-written with Liz Rose. Taylor experimented with several producers, ultimately choosing Nathan Chapman, who had produced her demo album. Musically, the album is country music styled, and lyrically it speaks of romantic relationships, a couple of which Taylor wrote from observing relationships before being in one. The lyrics also touch on her personal struggles in high school. Five singles were released from the album, all of which have been certified platinum by the RIAA. "Tim McGraw" was released as the lead single and reached the top ten on Billboard's Hot Country Songs. "Teardrops on My Guitar" was released as the second single and was the album's best-charting song on the Billboard Hot 100. "Our Song" was released as the third single from the album and was Swift's first number one on Billboard's Hot Country Songs chart. It made her the youngest person to single-handedly write and perform a number one song on the Hot Country Songs chart. "Picture to Burn" and 'Should've Said No' were released as the fourth single and fifth singles from the album, respectively, and both were successful on the country charts in the United States. Swift promoted the album by performing on tour as the opening act for artists such as Rascal Flatts, George Strait, Brad Paisley, and Tim McGraw and Faith Hill. "Taylor Swift" was received positively by contemporary critics, who praised Swift's talent at such a young age. The album enjoyed commercial success and launched Swift's career in country music. In the United States, it topped the Top Country Albums Chart for 24 non-consecutive weeks, and was certified five times platinum by the Recording Industry Association of America (RIAA) for sales of over 5 million copies. "Taylor Swift" has logged 275 weeks on the Billboard Top 200 chart as of early 2013. The album was also successful outside of Swift's native country, especially in Canada, Australia, and the United Kingdom. The album has sold over 9,3 million copies worldwide as of December 2018. Swift is from Wyomissing, Pennsylvania and developed an early interest in country music and songwriting. When she was eleven, she and her family made their first visit to Nashville, Tennessee in peruse of a record deal, though nothing came out of it. Swift was often judged and neglected by record labels for being too young. In regards to the labels which rejected her, she said: "I can understand. They were afraid to put out a 13-year-old. They were afraid to put out a 14-year-old. Then they were afraid to put out a 15-year-old. Then they were nervous about putting out a 16-year-old. And I'm sure if I hadn't signed with Scott Borchetta [head of Big Machine Records], everybody would be afraid to put out a 17-year-old." Two years later, her family moved to Nashville; in the same year, Swift development deal with RCA Records, which she ultimately rejected because she refused to be on an artist development deal. At the age of fourteen, she received a publishing contract with Sony/ATV Music. In 2005, while performing at The Bluebird Café, Swift caught the attention of Scott Borchetta, CEO of Big Machine Records; she eventually signed with the label. Swift began working on her debut album in the same year she was signed to Big Machine Records. Swift describes "Taylor Swift" as "[her] diary from [her] early teens" and says she wrote the songs featured on the album "in real time", as she was experiencing them. As a result, the songs on "Taylor Swift" describe coming of age experiences such as insecurity, young love, and teenage angst. Most songs on the album were written during Swift's freshman year of high school. "You listen to my album and it sounds like I've had 500 boyfriends. But that's really not the case. I found that you don't have to date someone to write a song about them [...] I was going through a really tough time in school and facing a lot of rejection among my peers. I found that I was alone a lot of the time, kind of on the outside looking into their discussions and the things they were saying to each other. They really didn't talk to me. In the process of coming to that realization, I started developing this really keen sense of observation - of how to watch people and see what they did. From that sense, I was able to write songs about relationships when I was thirteen but not in relationships." When her debut album was released, Swift had found her artistic identity balancing diaristic purging with savvy pop craft, chaste romanticism with scolding wit, and amplifying small slights into high drama. She’d have many occasions to gently correct interviewers who tried to peg her narration as literal reportage. When pressed about the scenario that inspired her first single, “Tim McGraw,” she redirected: “The song is not about a huge, intense relationship. It’s about an innocent one.” (Invoking McGraw as the singer of a song that conjured nostalgia was also a very smart use of the contemporary country practice of referencing performers of earlier generations as a way of claiming connection to the genre’s lineage.) Swift wrote "Tim McGraw" during her freshman year, knowing that she and her senior boyfriend, Brandon Borello, would break up at the end of the year when he left for college. Rose said Swift showed up at her after school job writing songs for Sony/ATV "with the idea and the melody. She knew exactly what she wanted". The nostalgic song describes a summer romance and Swift's hope that when Borello "think[s] Tim McGraw" he would "think [her] favorite song" – Tim McGraw's "Can't Tell Me Nothin" – and remember her. In “Picture to Burn,” a hooky single with Dixie Chicks–like attitude, Swift describes a girl furious after a break-up. While at work after school, Swift "found [her]self just sitting there with [her] guitar going, 'I hate his stupid truck that he doesn't let me drive. He's such a redneck! Oh my God! '," a line which developed into the song's chorus. The up-tempo song is heavy with banjos and drums, while the chorus is marked by distorted guitars and big vocals. She could be heard toying with sung-spoken vocal approaches and modifying her inflections and phrasing, techniques that she would increasingly come to value. “I hate that stupid old pickup truck you never let me drive,” she sang, spitting the lyrics with gleeful, staccato bite. “You’re a redneck heartbreak who’s really bad at lying.” Swift considered it a sign of skilled storytelling to be able to “take a dirty look somebody gives you” or a situation where “somebody you’re casually talking to says something that makes you sooooo mad” and craft a song that makes the complaints feel far more urgent and the wounds more real. Her skill in that area was impressive and endearing. Pining was the theme of her massively successful second single “Teardrops on My Guitar,” a ballad whose protagonist, suffering in the friend zone while the object of her affection pursued someone else, easily inspired empathy. Swift delivered the verses in breathy, brooding fashion, then belted out the chorus, a vocal attack that accentuated the thinness of her instrument. The singer penned the autobiographical song "The Outside" as an outlet at age twelve, the year she began writing her own songs. Like many of the other songs she wrote early on, the song describes the unhappiness and loneliness Swift felt when her love of country music alienated her from her peers. Swift wrote "Tied Together with a Smile" the day she learned one of her best friends was bulimic, a fact which shocked her. She recalled, "How can somebody that seems so strong have such a horrible, horrible weakness? Something that is killing her." The lyrics to "Tied Together with a Smile" describe a beautiful girl trying to hide her inner turbulence and mourn that "You're tied together with a smile/But you're coming undone". Swift commented, "I always thought that one of the biggest overlooked problems American girls face is insecurity." "Mary's Song (Oh My My My)" was actually inspired by her next-door neighbors' long lasting marriage, being the opposite of what tabloids fixate on. In “Our Song,” Swift animated her storytelling with frisky conversational phrasing. She wrote "Our Song" for her freshman year high school talent show with no intentions of including it on the album. She claimed she "just knew there was something about it" and chose to include it on "Taylor Swift". "I wrote it about this guy I was dating, and how we didn't have a song. So I went ahead and wrote us one." The song is a narrative and describes a young couple who use the events in their lives in place of a regular song. That was among the album’s sunniest tracks. Beneath her singing, the bright acoustic picking and strumming was goosed by a lightweight, programmed loop, a prescient pop-country update that she achieved with her then-producer Nathan Chapman. “Our Song” is placed at the end of the standard edition of the album due to its closing lyrics, a request to "play it again". "Invisible" is ballad describing loneliness and heartache of going unnoticed. Sean Dooley of About.com writes, the "piano-driven song [...] perfectly captures the awkward teenage angst we all endure—or have endured—at one time or another." While recording her demo album, Swift worked with demo producer Nathan Chapman, who she met in a little shed behind a publishing company she was at. Swift said, "I'd always go in there and play him some new songs, and the next week he would have this awesome track, on which he played every instrument, and it sounded like a record. We did this for a period of a year to two years before I got my record deal." To record Taylor Swift, she had to chose which album producer she would work with: "Then, all of a sudden, it was, 'OK, we're going to use this producer' or 'We're going to use that producer.'" After experimenting with different producers, originating from Nashville, Swift chose Chapman because of the unique sound he put into songs. Big Machine Records was skeptical about hiring Chapman because he had never done a studio album prior to "Taylor Swift", only demos. Swift described the songs he produced as "the right chemistry hit[ting]" and therefore, Big Machine Records accepted Chapman producing some of the album's songs. In the end, Chapman produced all but one of the tracks on "Taylor Swift". Recording was executed during a four month period before 2006 was over. 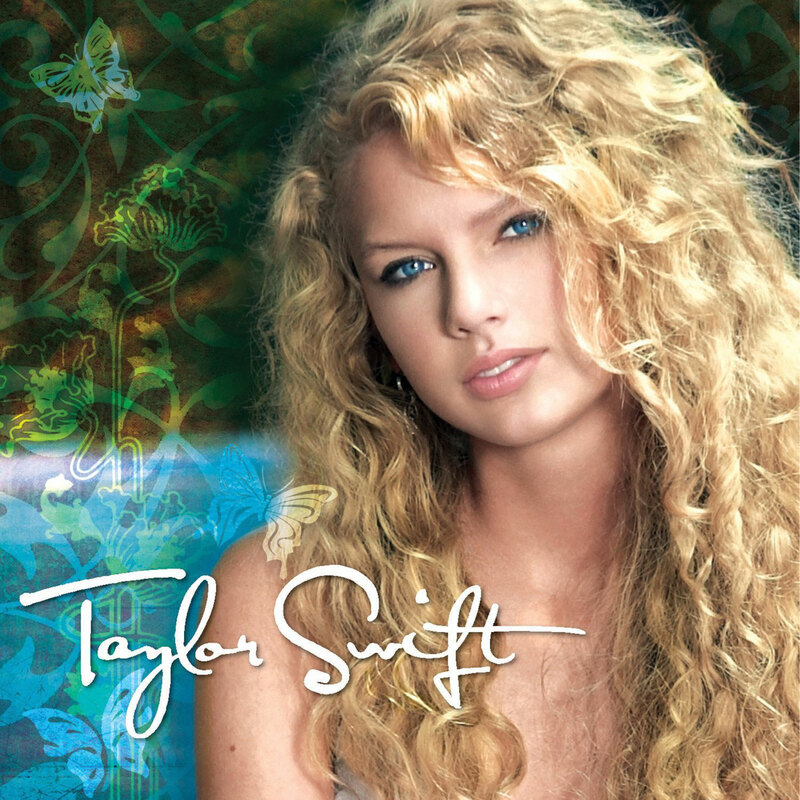 "Taylor Swift" was released on October 24, 2006 with eleven tracks. Swift was highly involved in the album packaging, designing doodle graphics herself. She also personally capitalized specific letters in the lyrics from each song to spell out hidden messages, a feat she would also execute for her succeeding albums. On November 6, 2007, the album was re-released under the title "Taylor Swift (Deluxe Edition)" for a limited time. The deluxe edition contained three new songs: "I'm Only Me When I'm with You", "Invisible" and "A Perfectly Good Heart", the radio edits for "Teardrops on My Guitar", and "Our Song", and Swift's first phone conversation with Tim McGraw. The re-release also bared new artwork and a bonus DVD with all of Swift's music videos at the time ("Tim McGraw", "Teardrops on My Guitar", and "Our Song"), behind-the-scenes footage of "Teardrops on My Guitar" and "Our Song" music videos, and a performance of "Picture to Burn", among other material. The American retail company Target released an exclusive version of "Taylor Swift (Deluxe Edition)", with performances of Swift during McGraw and Hill's "Soul2Soul II Tour". A third and final re-release appeared on March 18, 2008 with the original album artwork, including the three new songs from the "Taylor Swift (Deluxe Edition)", as well as the radio edit of "Picture to Burn," and an additional pop remix of "Teardrops on My Guitar". This version of the album was also released on vinyl in 2016. A karaoke version of “Taylor Swift” was released on January 27, 2009, containing the first fourteen tracks from the album on both CD+G and DVD. These are the hidden messages of the songs on "Taylor Swift". Taylor started the tradition of hiding clues in songs when she put out her very first album.